Hina Arare ('雛あられ', is classified into sweets), is known as Sweet Bite-sized Rice Cracker in English, and 雏霰 (Chú sǎn) in Chinese. 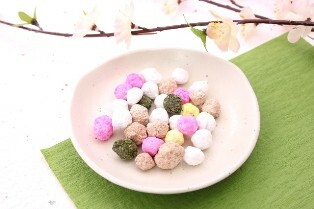 It is the Japanese style sweets. Salt, Soy Sauce, Powder of Flavor.